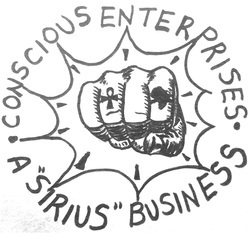 CONSCIOUS ENTERPRISES was conceived originally, in 1989, by TONY BROWN (Tony B. Conscious) in Seattle, Washington where he happened to be living at that time. It was intended to be (in its initial stages) a publishing company to handle the enormous amounts of rap songs and poems he was writing at that time. Tony did at that time, have T-shirt concepts, but no logo, slogan nor capital to bring these things into fruition. (It was 9 years later that these ideas would finally manifest into physical form). On May 1st of 1998, CONSCIOUS ENTERPRISES was finally established. It started with (2) tee shirt designs and an assortment of laminated poems but has grown since to include all types of conscious clothing, bags, poetry books, video tapes, mixed c.d.’s and various other merchandise. Additionally, CONSCIOUS ENTERPRISES has two(2) off-spring businesses under its belt (FLY DYE ART & P.O.E.T.R.Y GEAR...). It has become a household name in the Los Angeles’ and Bay Area conscious communities, on the Venice Beach boardwalk, and soon to be recognized in each and every urban, wholistic and conscious community world wide. Our logo is a prime example of this definition. 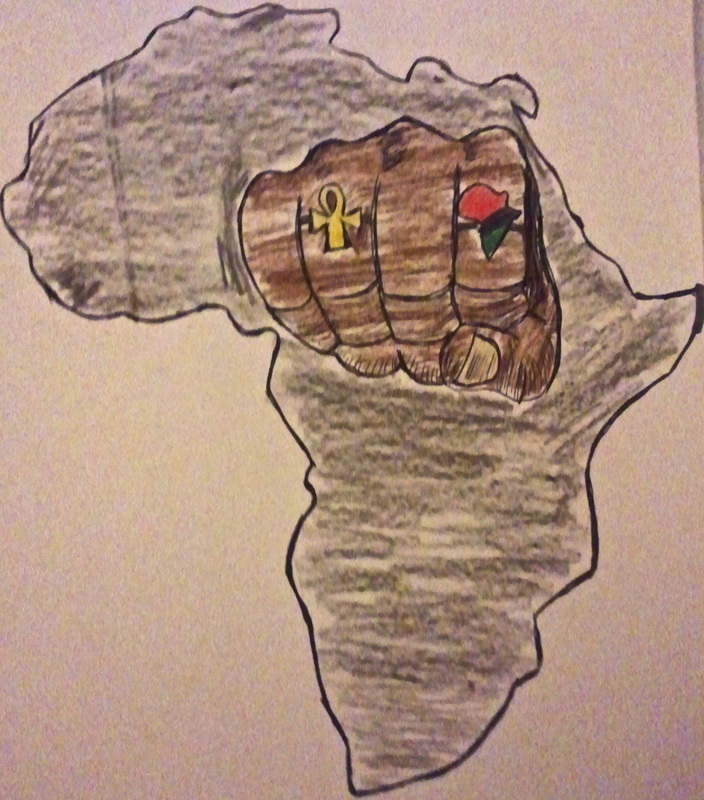 So, this power fist is not only significant to AFRICAN PEOPLE, but to all people of color as well. Additionally, with the two rings on the fingers of the hand, our logo has a three dimensional meaning as well. The ANKH has several different meanings. Two of the meanings are LIFE and ETERNAL LIFE. It is an ancient KEMETIC symbol (KEMET/KMT being the original name of EGYPT) that dates back to a time when all of the continents were connected and all of HUEmanity originated and were influenced by the customs concepts and spiritual practices of those in KEMET/KMT. The ANKH also represents an antennae or conduit for the electromagnetic current that flows through all melanated people upon this planet, the planet itself, the universe and the galaxy. 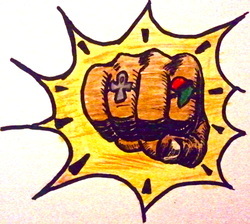 So the ANKH on the fist represents all that we were, are and are ever going to be; LIFE and PURE ENERGY. The continent upon the fist (known to a many as AFRICA, but before that known as ALKEBELON) symbolizes the origin of all melanated peoples on this planet and where we as the MOST melanated, should identify and reconnect with. No matter where we are on this planet and no matter what we call ourselves (BLACK, HAITIAN,NUBIAN, KEMETIC,CUBAN, AMERICAN, JAMAICAN,BRITISH...etc), we know just by looking at the HUE of our skin that our origins come from that continent known at this point in time as AFRICA. This is why this symbol is an essential part of our logo. We know, as the new millennium approaches and rolls in, the continent (known as AFRICA) will play a crucial role in the survival, maintenance, health and stability of the world. So, one can see our logo is much more than just a marketing tool. It is a statement to the world and a set of symbols that send messages to the unconscious mind and trigger the spirit of all of HUEmanity.